WELCOME TO FORT WAYNE. If you haven’t visited us lately, you’re in for a nice surprise. 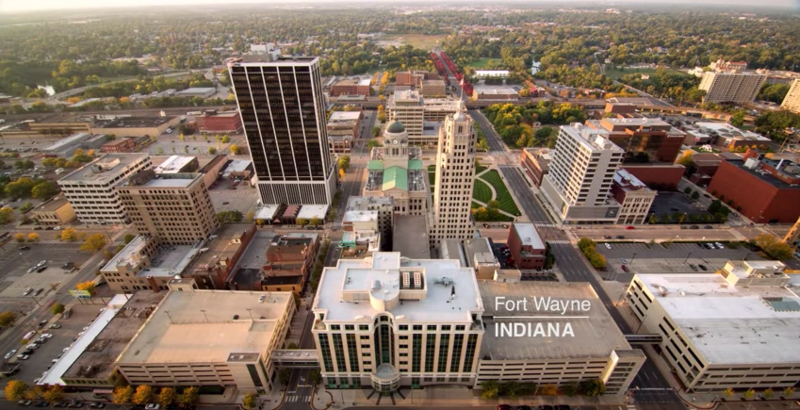 There’s more to see and do, and a short walk delivers you to sidewalk cafés, eateries, fine dining, nationally acclaimed museums and art galleries, a vibrant nightlife, live music, stage shows, botanical gardens, an internationally recognized library, and an extensive parks and trails network along Fort Wayne’s three rivers. It’s all part of a reimagined downtown where business, sports, and culture thrive. Here, you’ll enjoy a front-row seat. Across the street, the new $90 million Harrison Square revitalization project features Parkview Field’s mixed-use stadium—home to the Fort Wayne TinCaps, Class A Minor League Baseball affiliate of the San Diego Padres—along with new businesses, urban living, retail shops, entertainment venues, and more. The excitement is contagious—join us for a walking tour or visit us online for a virtual tour at your own pace. In addition to taking a look at the attractions listed below, head over to Current Fort Wayne to explore and discover amazing events in our community. With the ability to search by the date of your event, it’s your single-stop, comprehensive list of upcoming events for you and your guests to enjoy during your visit. With an 85% increase in Ladies facilities, our 122 restroom stalls mean significantly reduced waiting time! The original convention center building was completed in 1985 and expanded in 2006 with a total overall construction cost of $26.7 million. With 80,000 square feet of rentable meeting space, your events can continue to grow. We've installed laser-operated stalls and sinks for improved, hands-free sanitation. Enrich your event with a venue featuring 27 pieces of art.